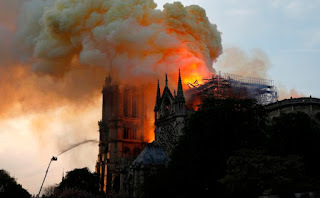 as the cathedral is engulfed in flames. The structure, a feat of medieval Gothic architecture, slowly crumbled over time. Bits of limestone easily flaked off at mere touch. Some gargoyles were nearly "melted" from the time, weather and pollution. Flying buttresses threatened to topple inward. The interior wooden structure had become dry tinder. 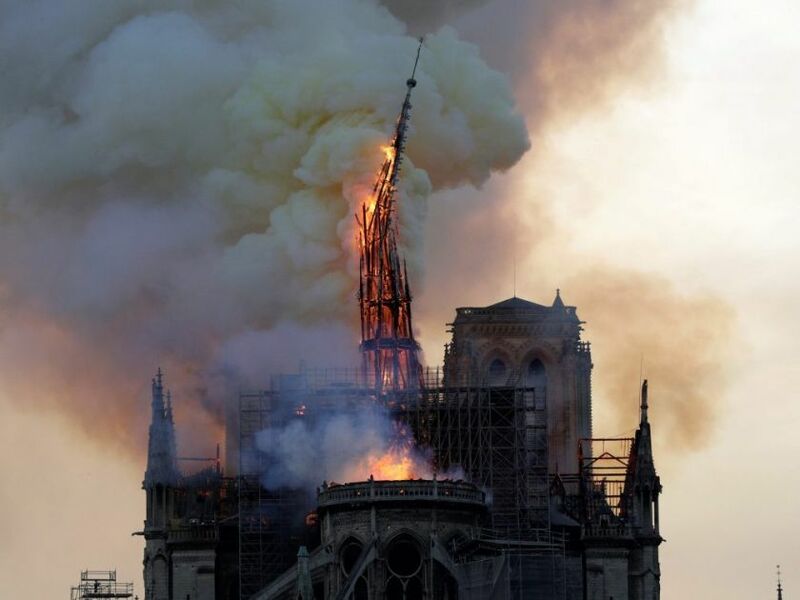 Tonight's massive fire engulfed the roof of Notre Dame Cathedral around 7 PM (GMT+2). 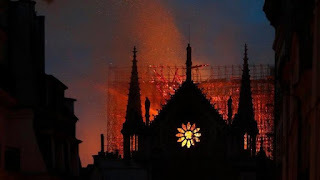 A spokesman said the entire wooden frame of the cathedral would likely come down, and that the vault of the edifice could be threatened too. Days away from Good Friday, the ripples sent through the Church have become a savage shock wave as the media offers up new, horrific reports. It's likely that several relics will be lost, including a piece of the thorny crown reputedly worn by Jesus at his crucifixion. I suppose young people associate the structure with the Disney movie, The Hunchback of Notre Dame, rather than the Hugo book or the history of the Cathedral in Paris (to include the coronations, funerals and other historic events). The opening song from the 1996 film, "The Bells of Notre Dame", offers brief insight into the Cathedral's importance and how people relate to its impact on their lives. It's a crash course for children that doesn't even scrape the surface of this structure's culturally important narrative. Unlike the movie, all of Paris is not burning with the Cathedral. The Paris Fire Brigade (Brigade des sapeurs-pompiers de Paris) and other agencies are hard at work to stay on top of it, at times tweeting messages to the public. France 24 has broadcast and tweeted throughout the night to keep the world abreast of the situation, as have other media outlets. Rough translation: "Thank you for not cluttering the 18/112 line, give free access to the firefighters of Paris, to allow them to intervene in the best conditions." Still, people are absolutely powerless in the face of this tragedy. It's been a painful night for those watching the destruction. 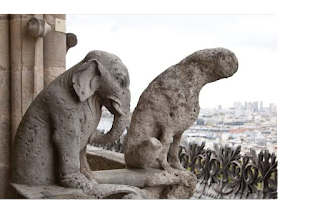 The world is a bystander reeling from dismay as this 800 year old symbol of France slowly dies. 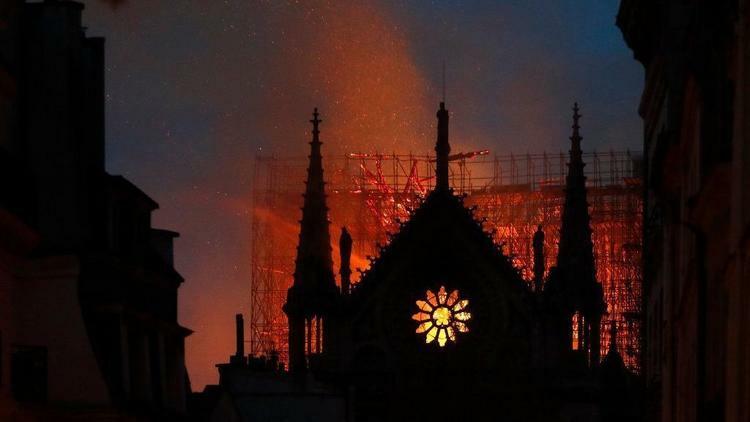 The Archbishop of Paris asked priests throughout France to ring their own church bells to help lift the spiritual strife of those grieving the bitter loss. The world responded. We still do not know the cause at this time. It might have been sparked by construction work. It could be an act of sabotage. It's a guessing game that none of us have any business in playing. Instead, let us do as Pope Francis and the Church urges: reflect on those in mourning and those bravely fighting the blaze. Your choice of religious belief does not matter here. Buddhist, Hindu, Wiccan, an Abrahamic faith, whatever you personally follow, even if it is nothing at all. Pray if it is your calling. And the French Civil Defense Agency took a moment to wag a finger at America's foolish President over his ignorance.